Phoenix SEO Company, Holistic Made, helps Health and Wellness businesses boost their online presence with winning SEO strategies and innovative marketing. PHOENIX, ARIZONA, UNITED STATES, January 10, 2019 /EINPresswire.com/ -- The Phoenix SEO Company, Holistic Made, is well-known company, serving in the field SEO and digital marketing. 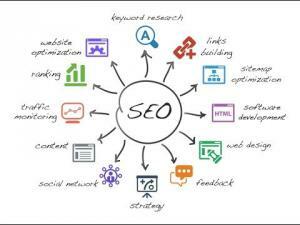 The company offers efficient and result-oriented SEO services. Being a well-respected digital marketing agency in Phoenix, they aim to help health and wellness related businesses to boost their online presence through an innovative marketing approach and strategic SEO strategy. Holistic Made has built their SEO Company in Phoneix and provides state-of-the-art services that include website builds, branding and engaging advertising campaigns. Co-founded by a husband and wife duo, Jonathan and Sascha Schlossberg, this company has managed to build a huge circle of satisfied customers. In addition, they have developed a strong foothold by engaging other business throughout the US to help health and wellness companies to get more clients and strengthen their online brand and reputation. Jonathan and Sascha know that clients are essential for every business; hence, gaining access to prospects who have the ability to turn themselves into customers tends to be the biggest challenge. 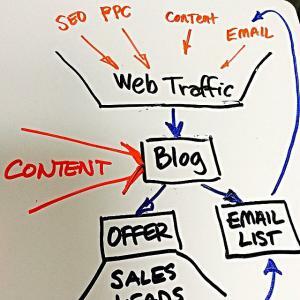 Holistic Made is aware of this challenge and makes sure to increase the visibility of a business through their outstanding SEO tactics and digital marketing strategies. When talking about search engine optimization, it requires strong skills and unmatched expertise to build a well-established and sustained online presence. This gives far more visibility to a web page than conventional optimization techniques. A well-planned and executed SEO strategy gains more importance in a situation, where algorithms updates are flowing in constantly. To handle such a situation, Holistic Made seems to be well prepared by offering local health and wellness business top tier SEO services that are unmatched. The company owns the required expertise and appears to be capable of successfully interpreting and managing the process of search engine monetization. With the experience and competency of this company, it is possible to increase the traffic, double the sales and profitability that too in a cost-effective way. With a rise in the demand of Digital Marketing services, this sector is expected to grow and flourish at a great pace in near future. A large number of companies offering these services are showing up. And in these circumstances, sustaining the market pressure and stay competitive is the biggest challenge for such companies. But with a sense of determination and strong customer support, Phoenix SEO Company, Holistic Made, is a confident choice for your marketing needs and they are committed to face all of your upcoming challenges with vigor. The founders revealed that their digital marketing services also include effective marketing strategies, including: Google Adwords/PPC, social media marketing, landing pages & sales funnels, Facebook marketing, and lead generation. The company is on the cutting edge of digital marketing strategies, and making sure they are unique and tailored to meet the needs of each individual business. Since its inception, this Phoenix SEO Company has served a wide range of customer base while ensuring the highest level of satisfaction. Holistic Made has gathered the best professionals and build a team that is always ready to accept digital marketing and SEO challenges." Peak Health announces their chiropractor Orlando office is expanding their chiropractic care to other health services.